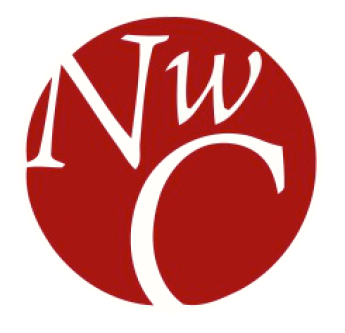 Providing our community with up-to-date continuing education resources that are easy to access is a key priority of Northwest Central. Our resources are purged every year to ensure you get the most recent information on hot library topics. If you are looking for a resource that is no longer featured on the site, please contact us with a description of the item and we will do our best to locate it and deliver it to you. Check out Oregon’s Library Support and Development Services page for more resources on continuing education. To help educators and facilitators build interest in the STEM subjects, OSU partnered with the Association of Zoos & Aquariums (AZA) and created an accessible program that trains staff and volunteers to foster learning via creation, participation and exploration. Upon completion of the program (the first course starts Sep. 24, 2018), folks will receive an Informal Learning Certificate from Oregon State University. Top Ten Skills for Teaching Tech to Patrons – Learn the top ten skills for teaching tech to patrons, whether it’s one-on-one or in a class. Survival Spanish for Library Staff – Survival Spanish for Library Staff was an all-day workshop Infopeople developed to provide library staff with basic skills for communicating with Spanish-speaking patrons. Now the essential words and phrases taught in the workshop have been integrated into easy to digest MP3 files that are structured so that you can practice at your own pace, whenever you want, for as long as you want! These tracks are designed for individual use, but are suitable for group practice, too! CLIP – The Cooperative Library Instruction Project (CLIP) was a partnership between Chemeketa Community College, Lane Community College, Oregon State University, Western Oregon University and Willamette University whose mission was to design and develop sharable, web-based tutorials to assist in library instruction and information literacy. Creating your Library Brand – Communicate your relevance and value to patrons. Somali & English Basic Computer Skills Online Lessons – A series of online tutorials for computer novices. You can choose Somali & English, or just English. It also has handouts. Put together by The Blandin MIRC (Minnesota Intelligent Rural Communities).